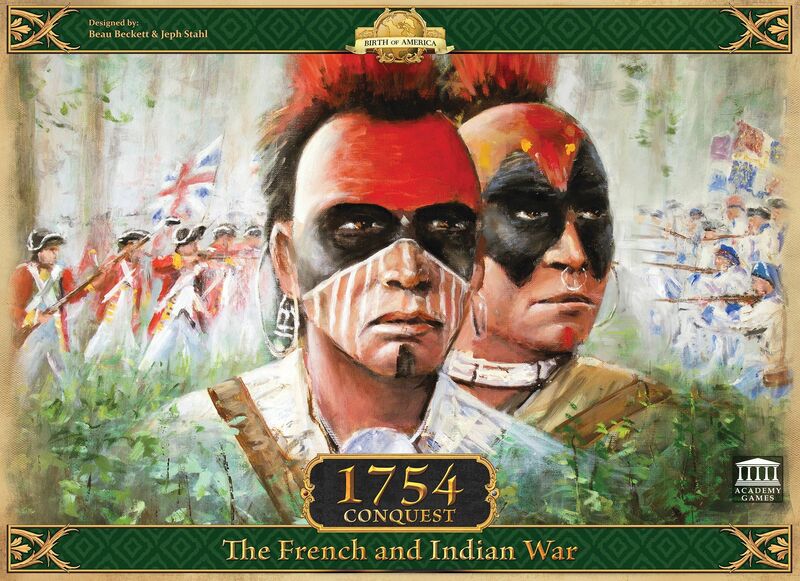 It is 1754 and both France and Britain have thriving colonies in North America. New England has begun expanding into the Ohio River Valley but France has built a chain of forts extending from Lake Erie to protect their own claim on the land. Now fighting has erupted. France and its Native American Allies control the Ohio Valley but George Washington prepares an army to take it from them. A small war has started in the colonies between France and Britain but control of the world is at stake. 1. Strategic Forts - Forts allow defenders an opportunity to negate hits in battle! 2. Valuable Muster Points - The new muster system for Native American and Colonial forces makes strategic alliances more dynamic and game changing! 3. Important Harbor Regions - Harbor regions govern regional reinforcements from British and French Regular Troops!